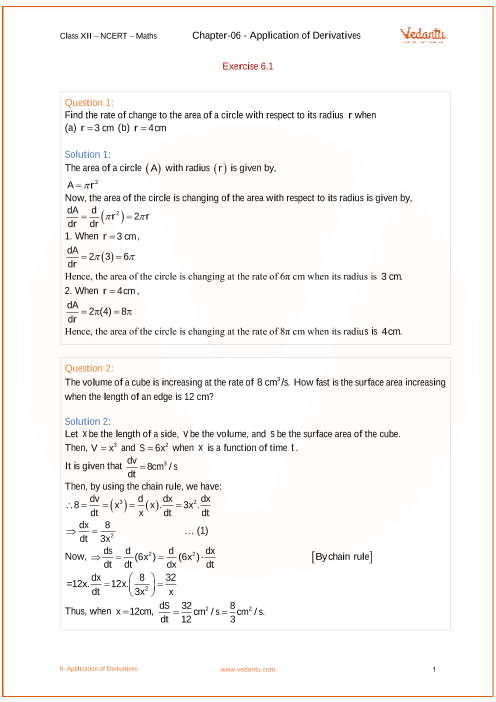 Free PDF download of NCERT Solutions for Class 12 Maths Chapter 6 Exercise 6.4 (Ex 6.4) and all chapter exercises at one place prepared by expert teacher as per NCERT (CBSE) books guidelines. Class 12 Maths Chapter 6 Application of Derivatives Exercise 6.4 Questions with Solutions to help you to revise complete Syllabus and Score More marks. Register and get all exercise solutions in your emails.